"Do you look like a wizard or crazy person or someone who has done too many mushrooms?" 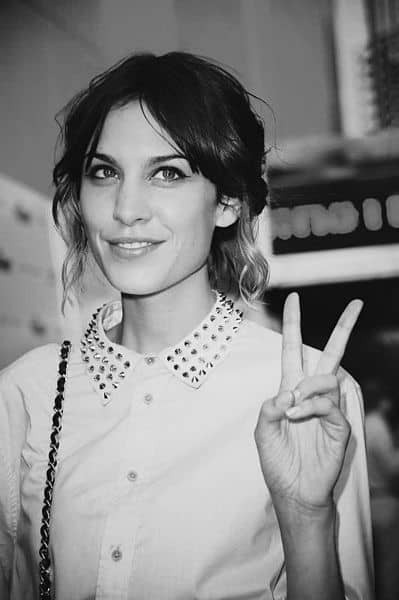 Born in England, Alexa Chung now resides in New York. She’s a television presenter, model, a contributing editor at Vogue, and a fashion icon (she won the British Style award three times) who’s received praise from Anna Wintour and Karl Lagerfeld. And until I read this book, I had no idea who she was. I’m the kind of person who thinks jeans and a t-shirt are suitable clothing for most occasions. I’m a freelancer who works from home—when I shower and put on fresh PJs, I consider that a job well done. Jeans are fancy dress. But reading Chung’s fangirl gush for fashion icons like Anna Karina, Twiggy, Jeremy Irons, and George Harrison makes me think I may be missing out. A lot of her inspiration comes from film, and the way the characters are portrayed: Winona Ryder in Heathers, Natalie Portman in Leon the Professional, Liv Tyler in Empire Records, and others I’m now adding to my Netflix queue. Interspersed throughout the vignettes about style, inspiration, friends, and her personal life, are doodles and photographs. Sometimes the photos seem to serve some kind of illustrative purpose, but more often than not they’re just dropped in without captions or context. It is a light scrapbook of icons, inspirations, and style references with running commentary on a tour through Chung’s public life. I was charmed. IT was published with Penguin. You can find Alexa Chung on Twitter @alexa_chung.